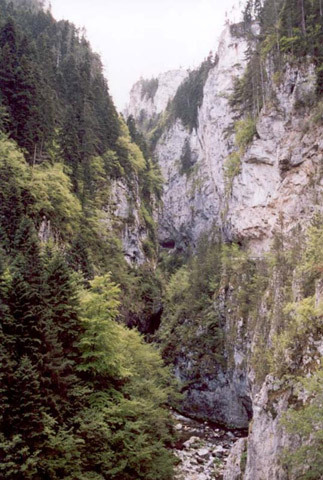 The Trigrad gorge is located along the Trigradska River at a 2-km distance from Trigrad. It is impressive with its size and shape. The main part of the gorge spreads some 2-3 km along the river, with marble rocks rising from the two sides. 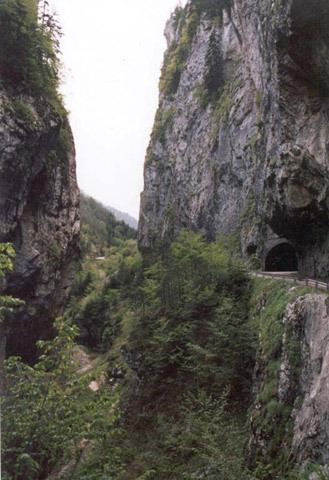 At certain places the rocks can reach as high as 250 m.
The “Haramiyska” cave, located on the eastern side of the rocky wreath of the gorge, was inhabited by the most ancient population in these places. 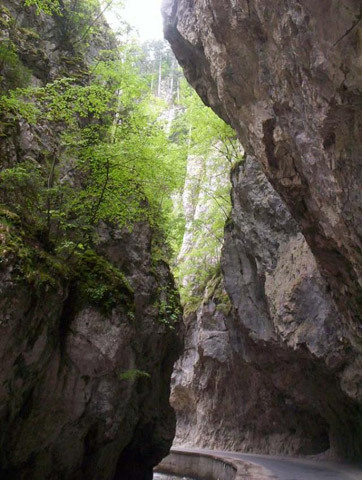 One of the phenomena of the Trigrad gorge is “Dyavolskoto garlo” abyss cave. By an artificially excavated tunnel, 150 m long, visitors can reach an impressively large and beautiful hall. 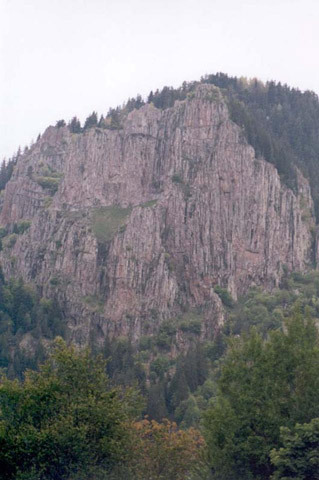 From there they can get to the natural entrance of the cave by a steep ladder. One more phenomenon can be sighted during the climb – one of the highest underground waterfalls in Europe.